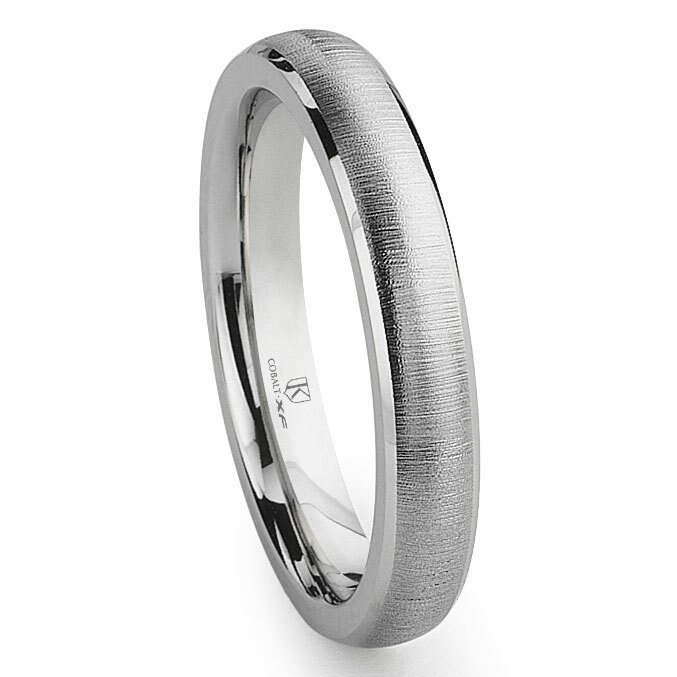 Couples who are looking for matching wedding bands will find that the cobalt xf chrome 4mm satin finish beveled wedding band perfect for a bride. The cobalt chrome ring is created using a satin finish on the outer surface of the ring that people can see. 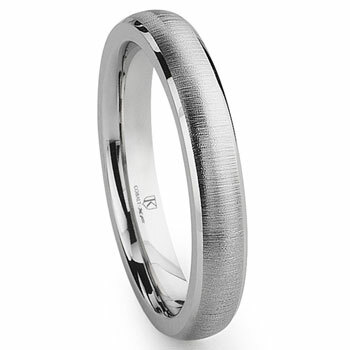 The ring is 4 millimeters wide allowing for wearing an engagement ring and this wedding band on the same finger. Our cobalt xf chrome 4mm satin finish beveled wedding band is the perfect symbol of eternal love as the ring is built to last for an eternity. Made of cobalt and chromium to form one of the strongest metals in the world. The use of cobalt chrome as a wedding ring for it's strength is only one consideration as price is another great feature of a cobalt chrome wedding band, as they are affordable for any budget. I love my cobalt chrome wedding band. Thank you, Titanium Kay, for nice selection at affordable pricing and great service!